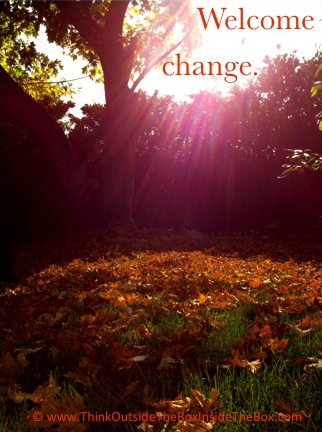 Morning Motivation — Are you shifting with the seasons? Are you shifting with the seasons? The leaves are turning colors, dropping off and signaling the shifting of the seasons—a change. Transitions can be bumpy, upsetting, discombobulating. Instead of fighting it, welcome it. Roll with the flow of the change from one form to the next. Be a shape shifter, an open mind, a time traveler, a mystic. Life is always shifting, changing colors, dropping off, coming back—ebbing and flowing. Shift with it. Wow! You have no idea how apropos this message is for me right now. Deeply in flow with transition and shifts… Thank you for resonation and confirmation!